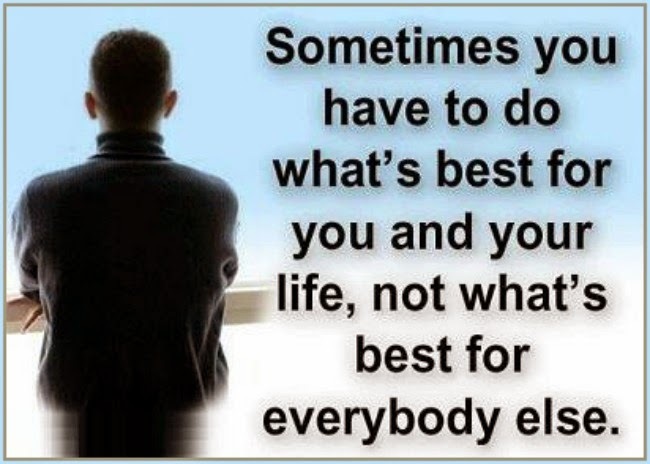 Do what's best for you. not what's best for everybody else. 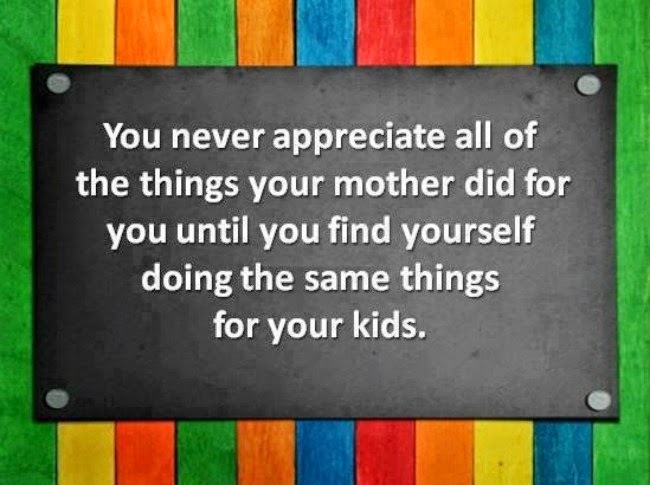 You will never appreciate all of the things your mother did for you until you find yourself doing the same for your kids. My husband has made me laugh. Wiped my tears. Hugged me tight. Watched me succeed. Seen me fail. kept me strong. 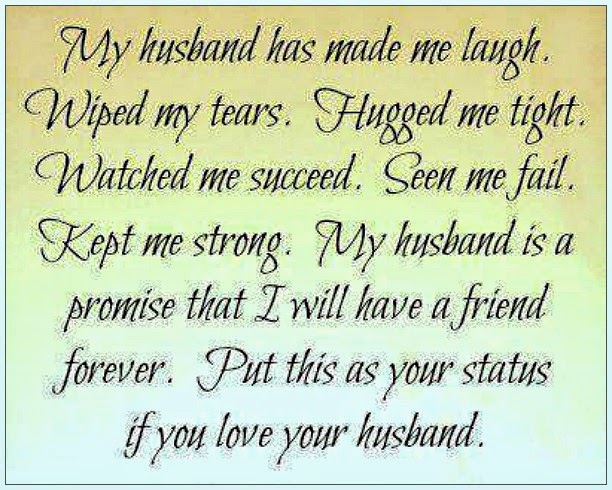 Put this as your status if you love your husband. 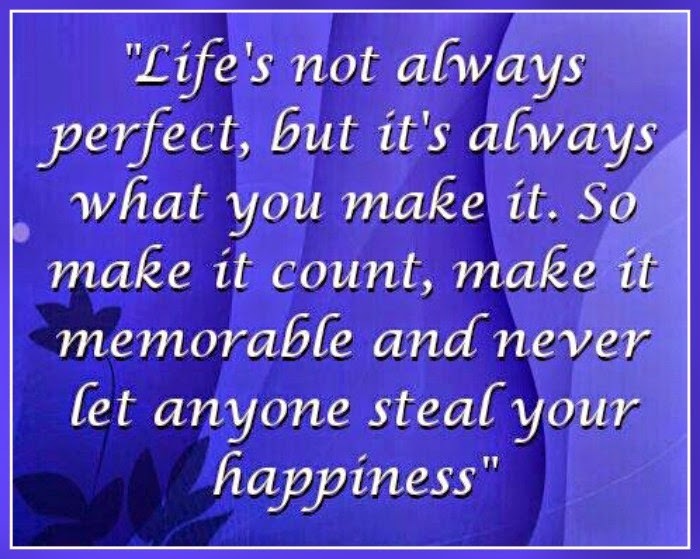 Life's not always perfect but it's always what you make it. I'm only me and that's all I can be. 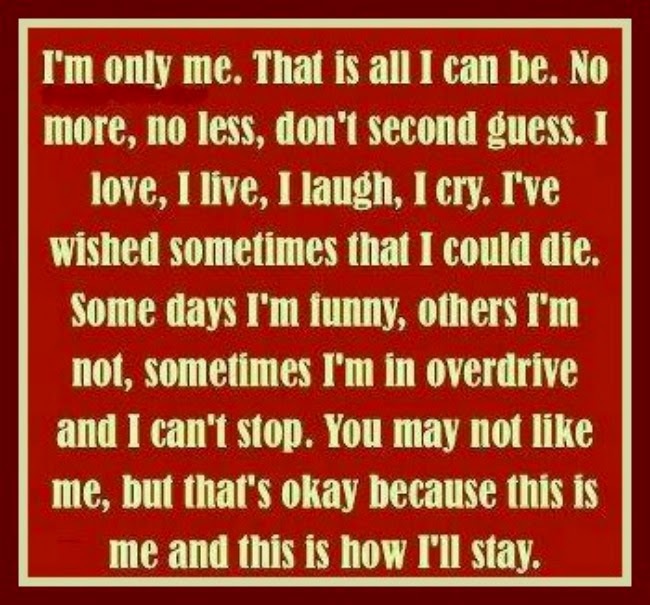 I'm only me. That's all I can be. No more, no less, don't second guess. I love, I live, I laugh, I cry, i've wished sometimes that I could die. Some days I'm funny, others I'm not, sometimes I'm in overdrive and I can't stop. You may not like me, but that's ok, but this is me and this is how I'll stay. 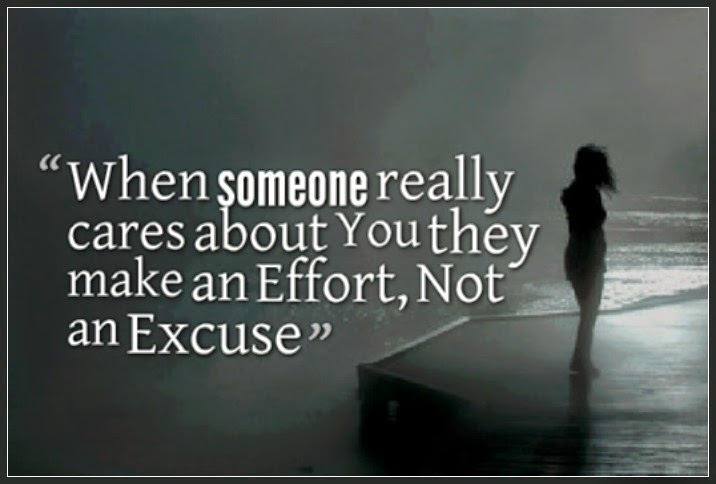 Those who care make an effort. 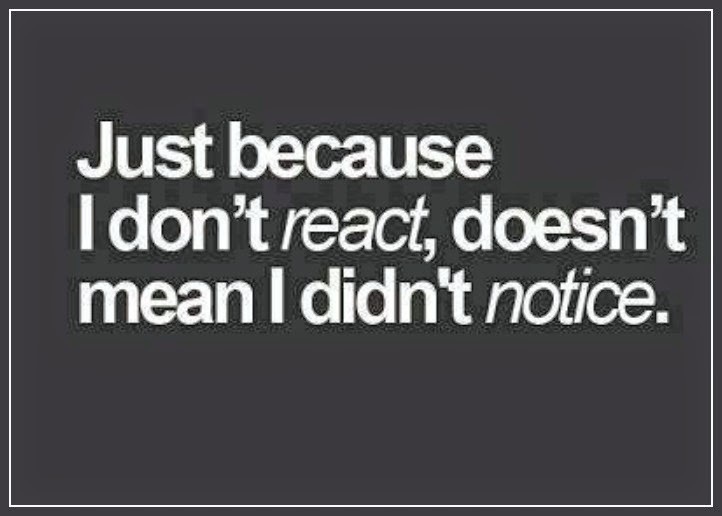 Just because I don't react, doesn't mean I didn't notice. 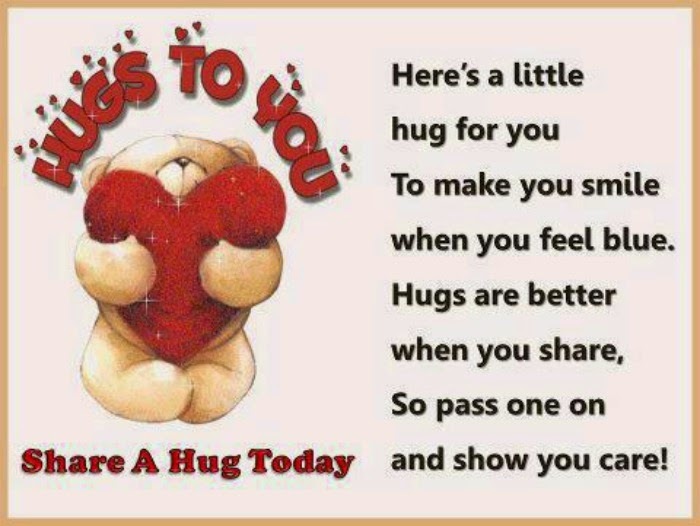 Here's a little hug for you, to make you smile when you feel blue. 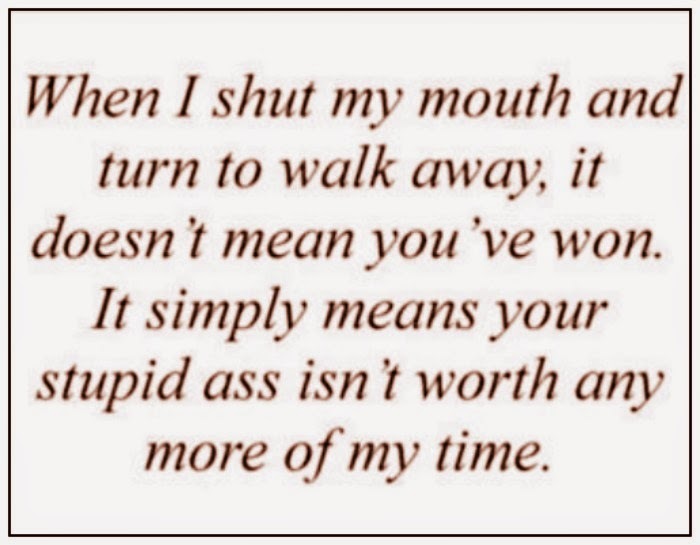 When I walk away from you. any more of my time. 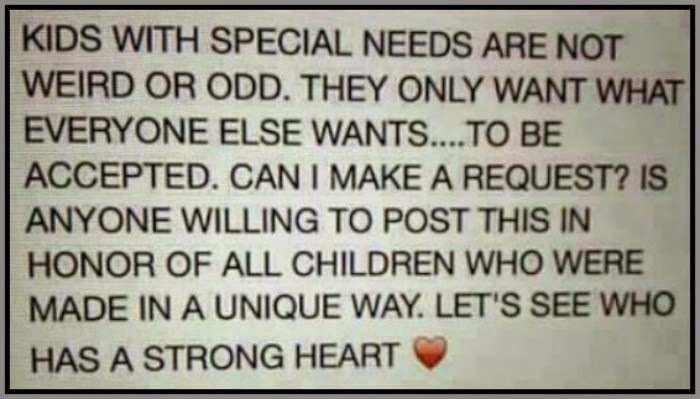 Kids with special needs are not weird or odd. They only want what everyone else wants. To be accepted. Share proudly on your wall to show your support. You deserve love and affection. 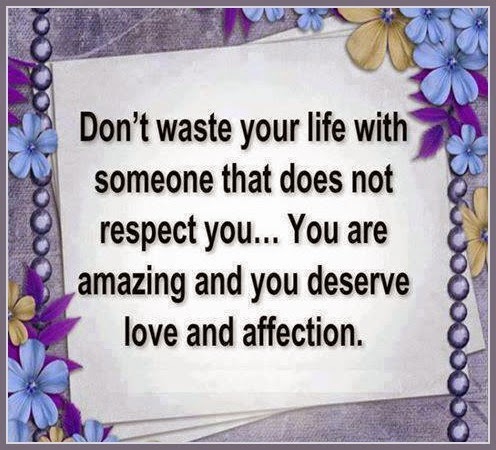 Don't waste your life with someone that does not respect you. You are amazing and you deserve love and respect. 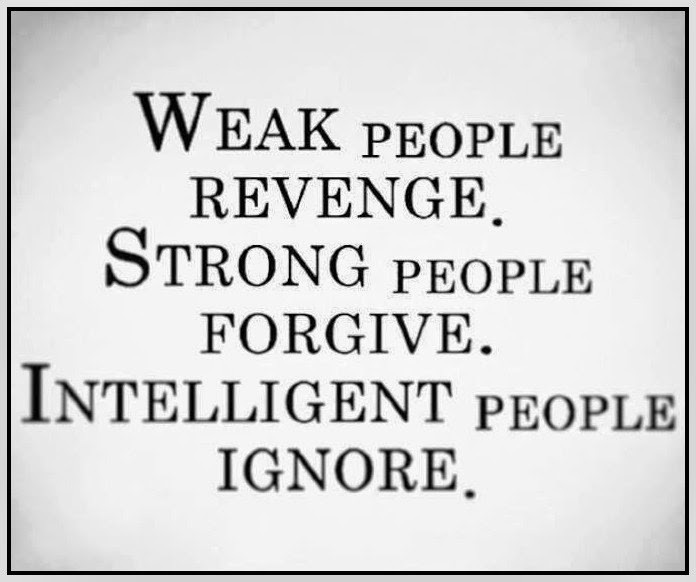 Weak people Revenge. Strong people Forgive. 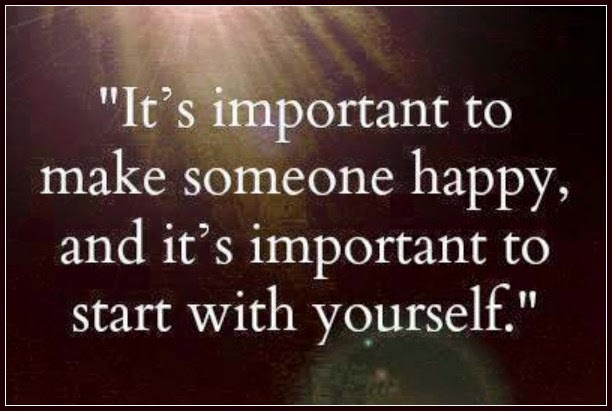 I am happy to be me. 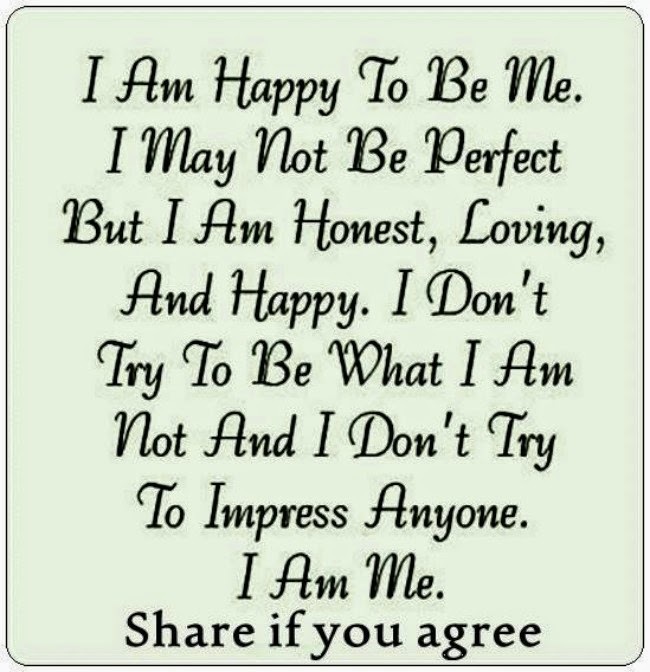 I may not be perfect but I am honest, loving and happy. I don't try to be what I am not and I don't try to impress anyone. I am me. Good friends care for each other. 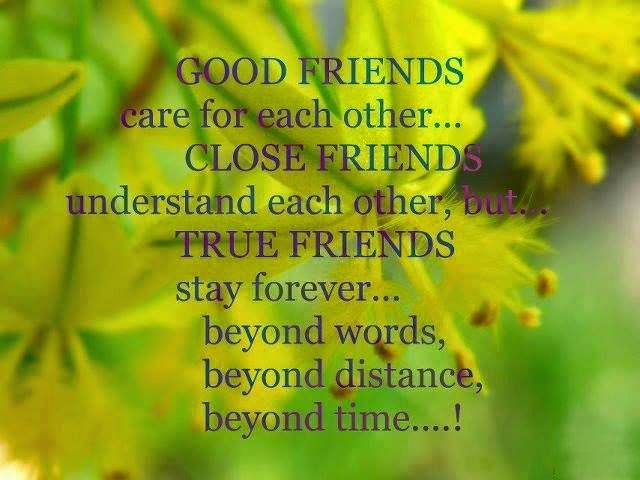 Close friends understand each other but True friends stay forever, beyond words, beyond distance, beyond time. Dear God. I know that I'm not perfect. 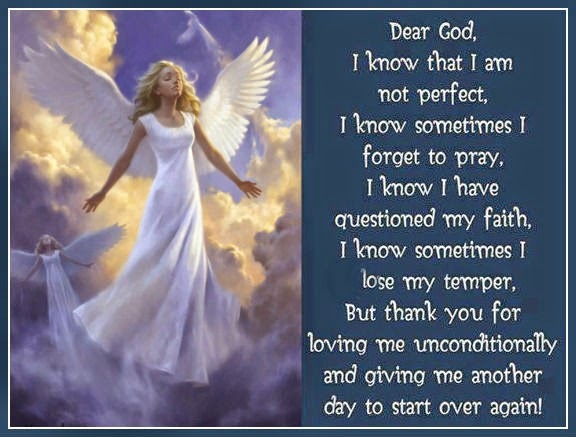 I know that sometimes I forget to pray. I know I have questioned my faith. 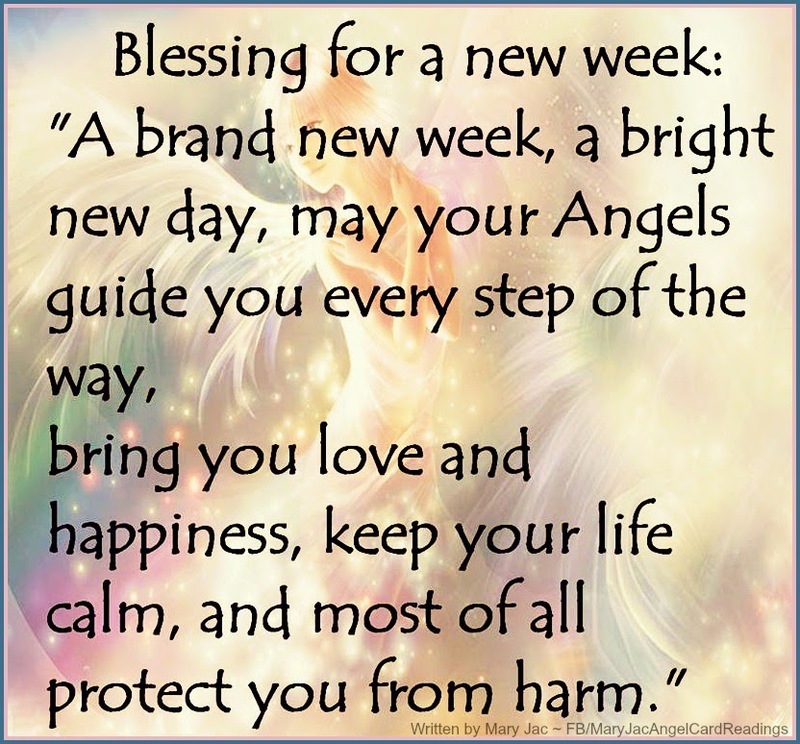 I know sometimes I lose my temper, but thank you for loving me and giving me another chance to start over again. I don't have time to worry. 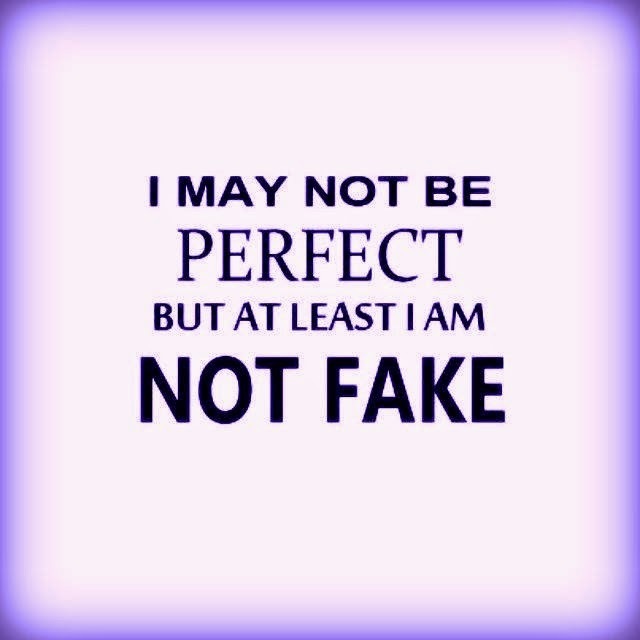 I may not be perfect but at least I'm not fake. 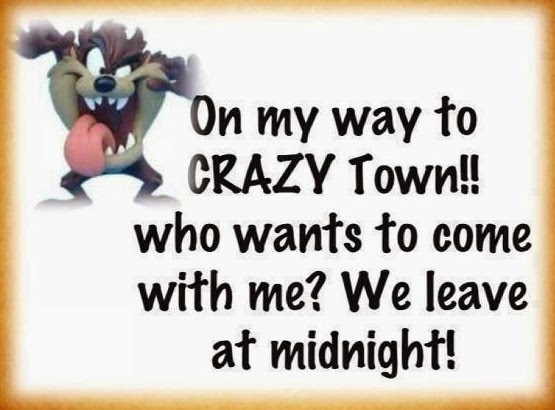 Facebook, at times, is a mental hospital. We have imaginary farms, cities, animals, cook fake food. We poke people, it's ok. We write on walls! 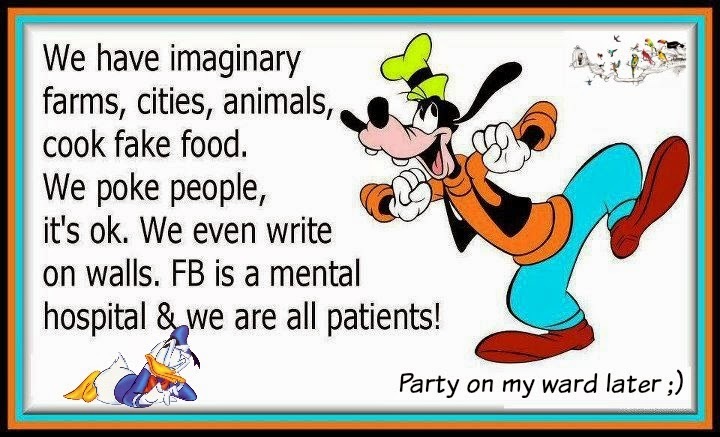 FB is a mental hospital and we are all patients. 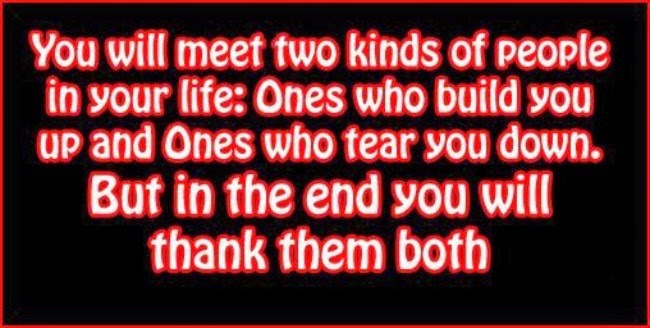 You will meet two kinds of people. 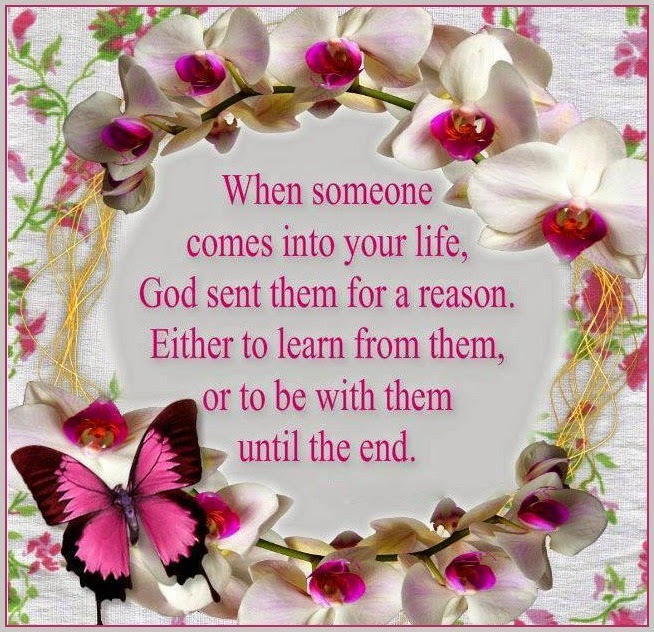 You will meet two kinds of people in your life. 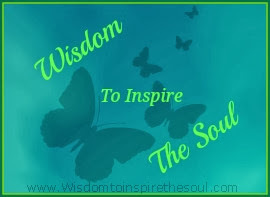 Ones who build you up and ones that tear you down. 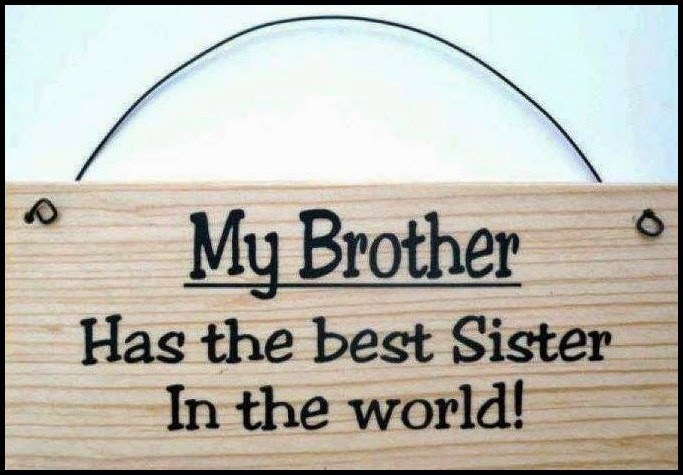 But in the end you will thank them both! A pretty face gets old. A nice body will change. 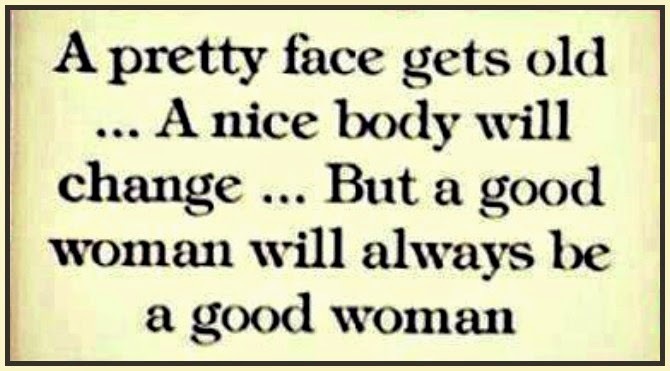 But a good woman will always be a good woman. Here's to the girls who don't wake up with perfect hair. Who don't mind eating a Big Mac instead of a salad. Who don't wear 50 pounds of makeup. Who'd rather spend the day in sweatpants than skinny jeans. Who love the comfort of T-shirts. Who don't get all the guys. Who Aren't popular but feel like it when they're with their friends. Who stick to sneakers instead of heels. Who aren't afraid to break a nail. Who don't always get their own way. Who don't get what they want. Who don't need a guy to tell them they are beautiful. 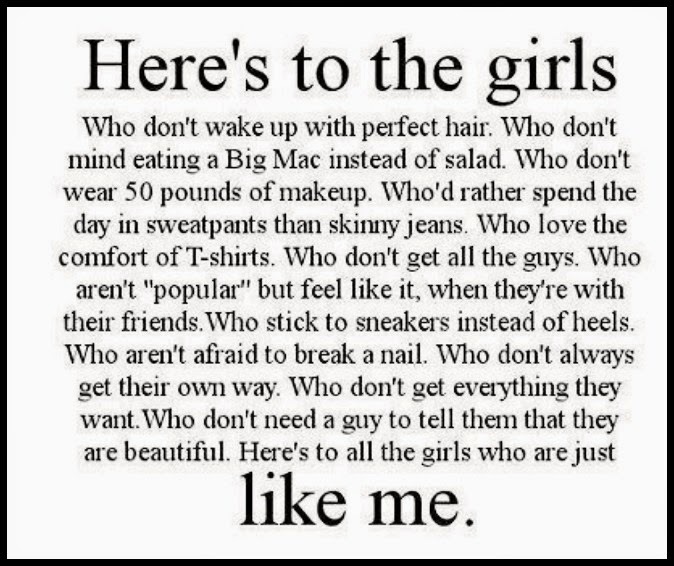 Here's to all the girls who are just like ME. 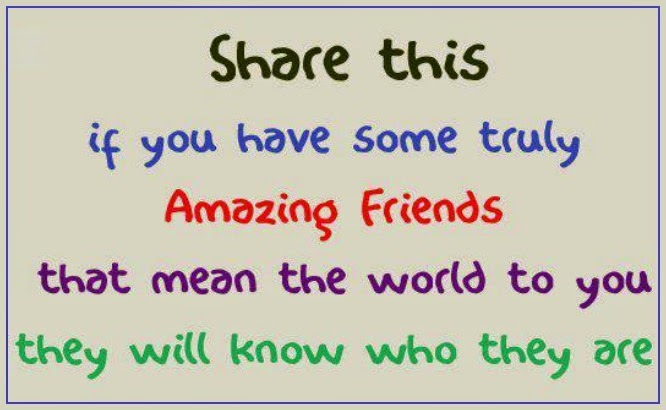 Share this if you have some truly amazing friends that mean the world to you. 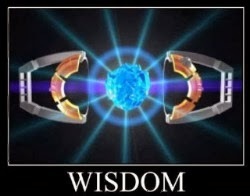 They will know who they are. 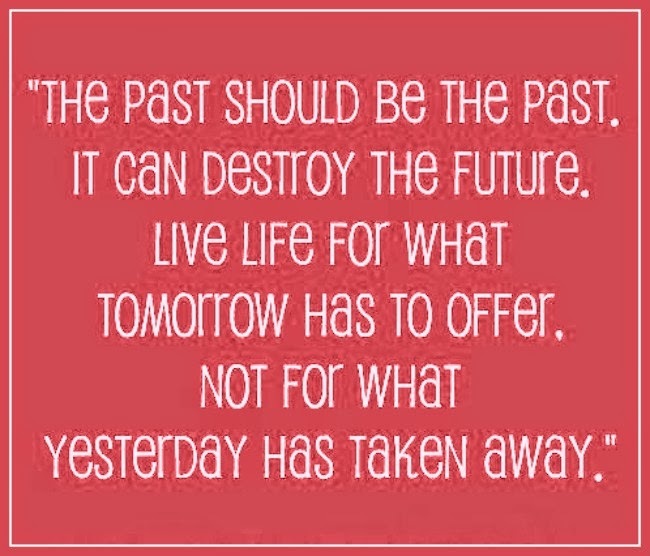 The past should be left in the past or it can destroy the future. 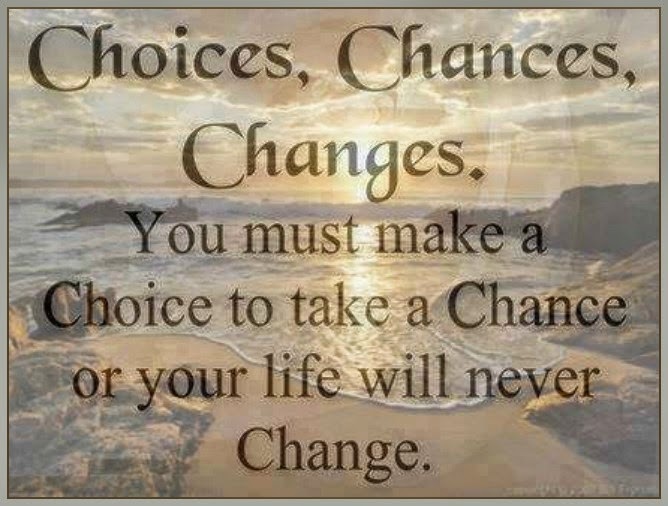 Live life for what tomorrow has to offer, not for what yesterday has taken away. 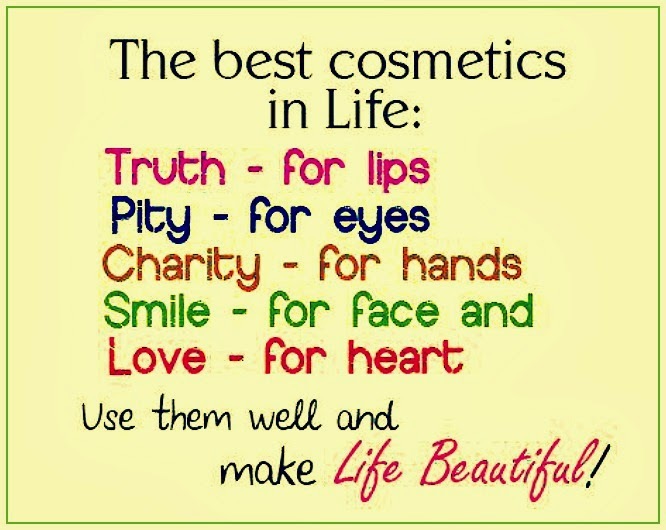 The best cosmetics in life. Smile for face and Love for heart. Use them well and make life beautiful. I regret nothing in my life. I regret nothing in my life. 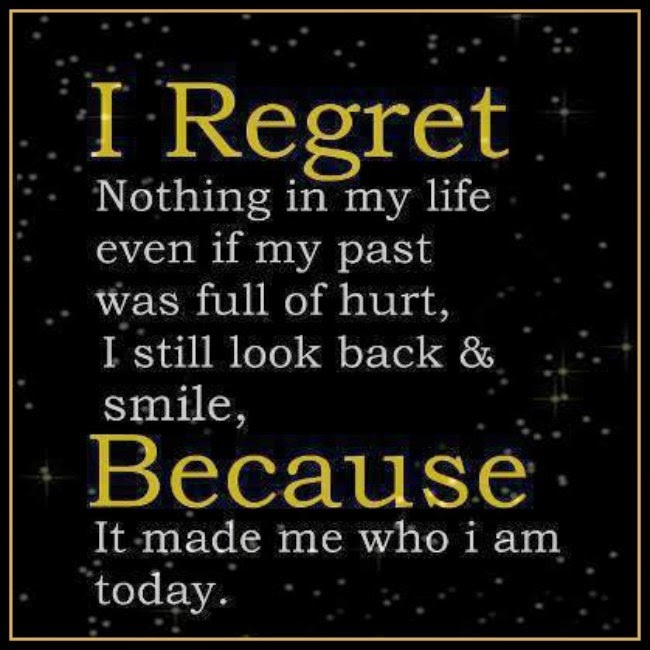 Even if my past was full of hurt, I still look back and smile because It made me who I am today. Live like there's no tomorrow. 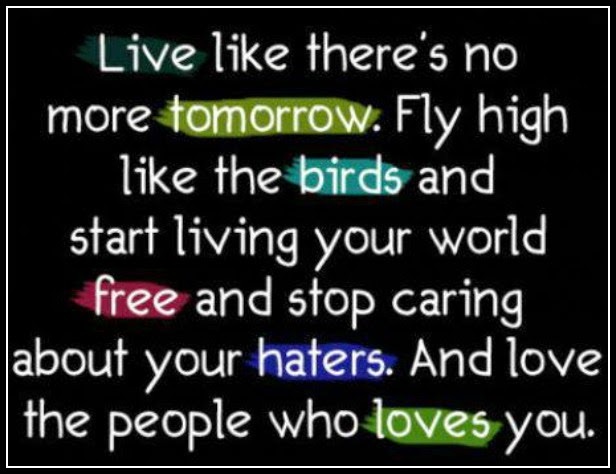 Fly high like the birds and start living your world free and stop caring about your haters. 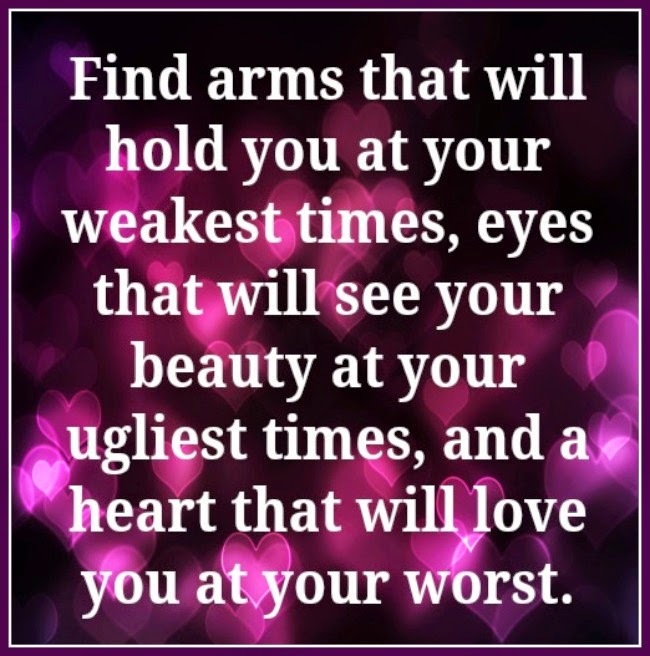 And love the people who love you. 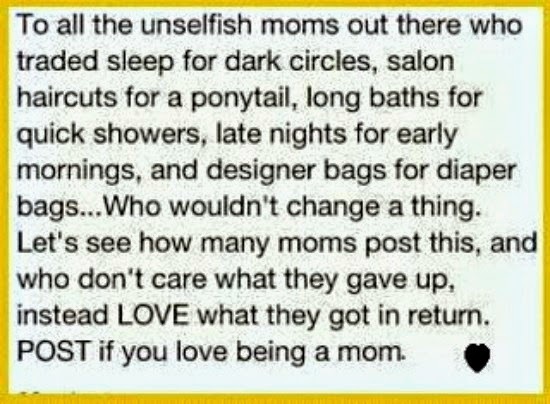 To all the unselfish mom's out there who traded sleep for dark circles, salon haircuts for a ponytail, long baths for quick showers, late nights for early mornings and designer bags for diaper bags - who wouldn't change a thing. 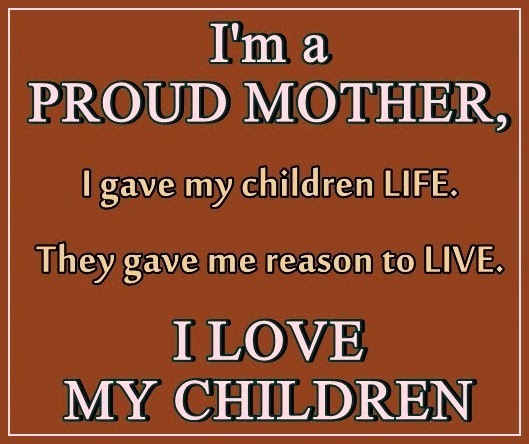 Let's see how many mom's post this and who don't care what they gave up, instead love what they got in return. The miracle of a friend. 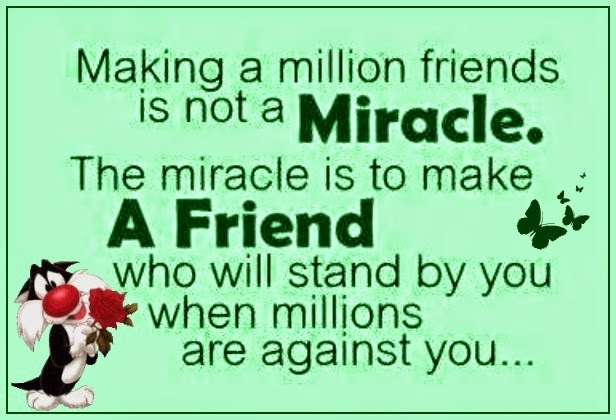 Making a million friends is not a miracle. The miracle is to make a friend who will stand by you when millions are against you. 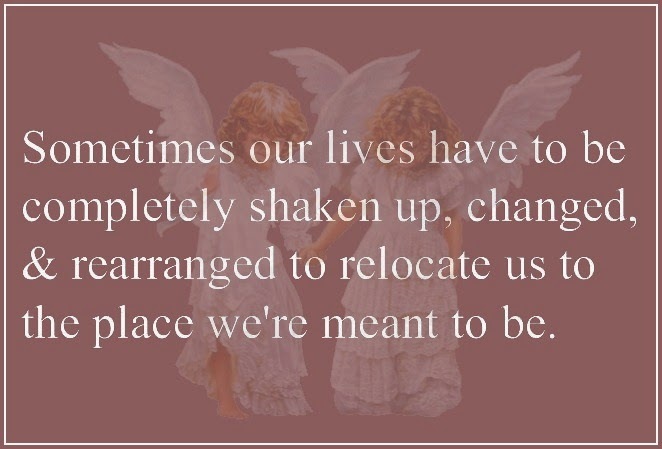 Sometimes our lives have to be completely shaken up, changed and rearranged to relocate us to the place we're meant to be. 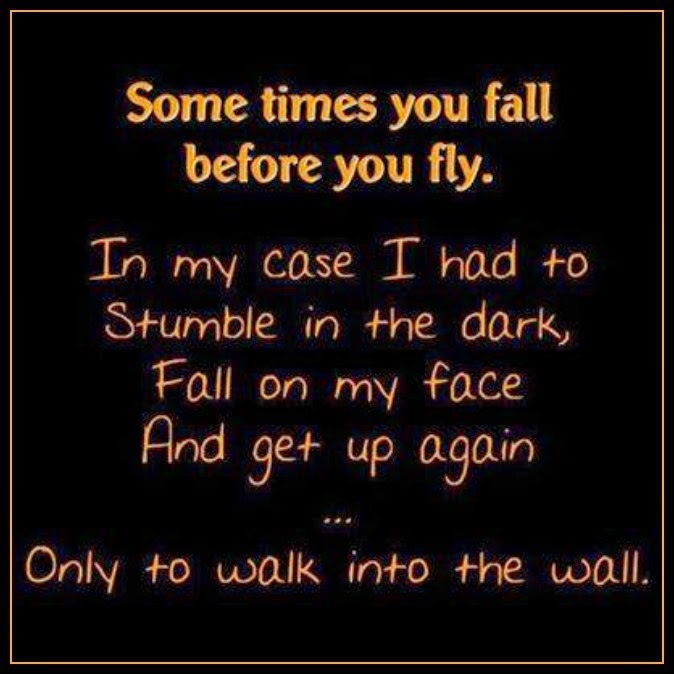 Sometimes you fall before you fly. 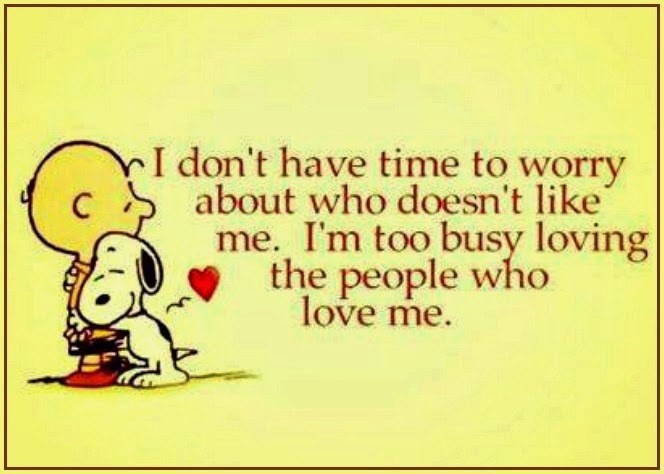 Spend time on those who love you. 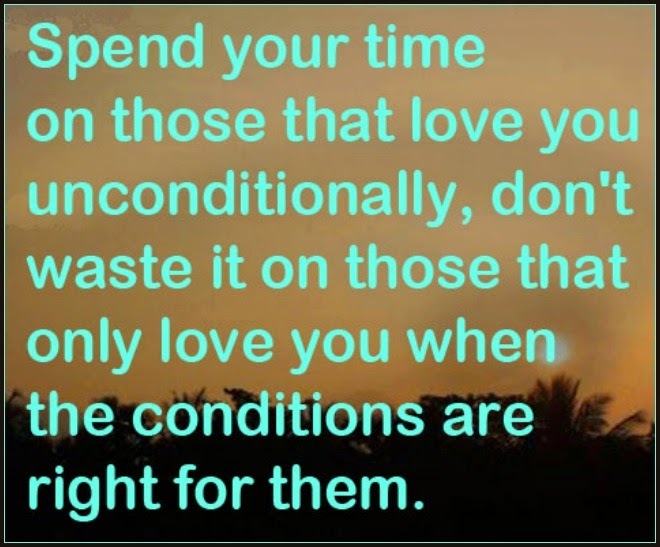 Spend your time on those that love you unconditionally, don't waste it on those who only love you when the conditions are right for them. 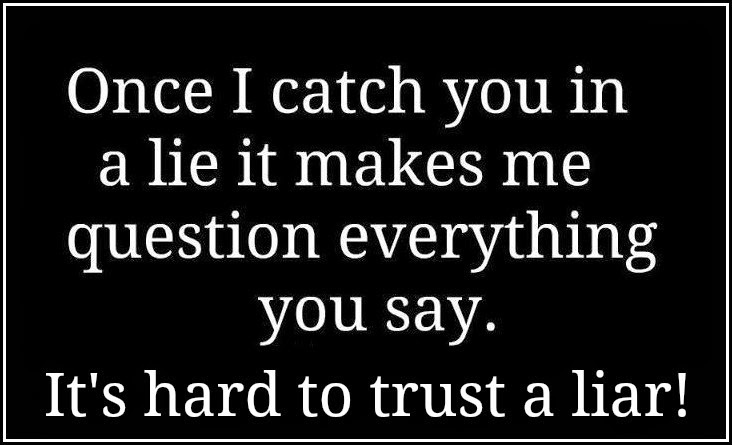 Finding a person's true colours. 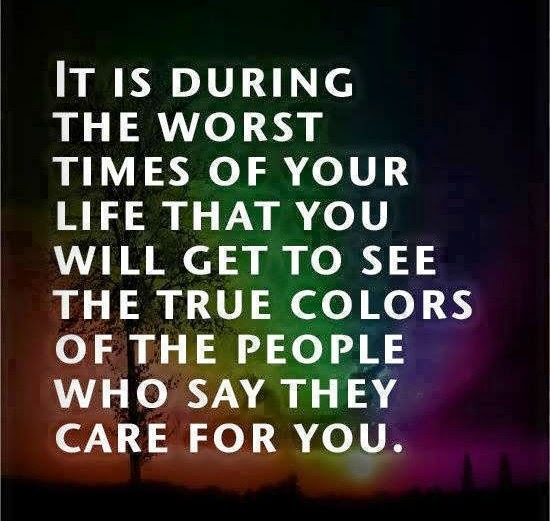 It is during the worst times of your life that you will get to see the true colours of the people who say they care for you. 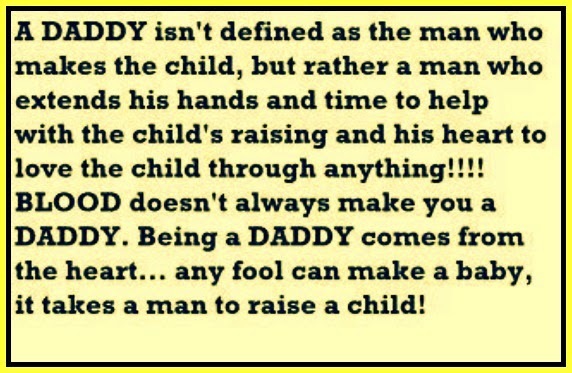 What It means to be a Daddy? A Daddy isn't defined as the man who makes a child, but rather the man who extends his hands and time to help with the child's raising and his heart to love the child through anything. Blood doesn't always make you a Daddy. Being a Daddy comes from the heart. Any fool can make a baby, it takes a man to raise a child. 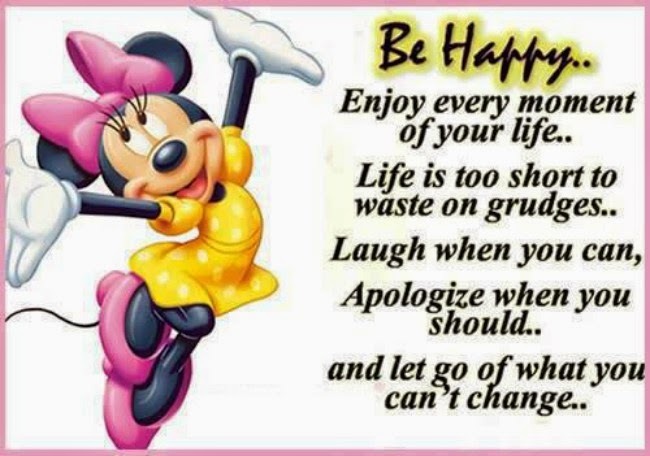 Be happy, enjoy every moment of your life. Life is too short to waste on grudges. Laugh when you can. Everybody is fighting their own unique war. 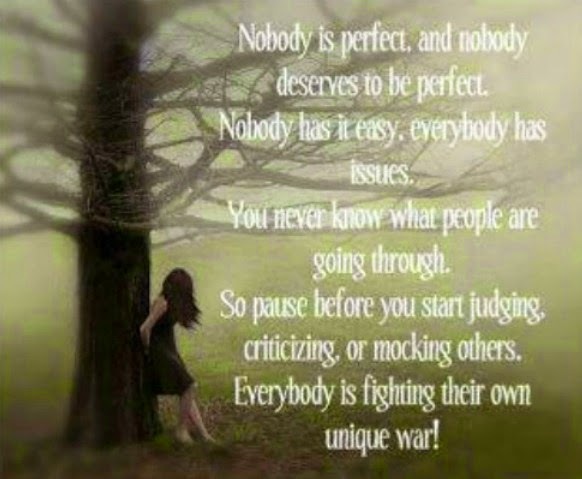 Nobody is perfect and nobody deserves to be perfect. 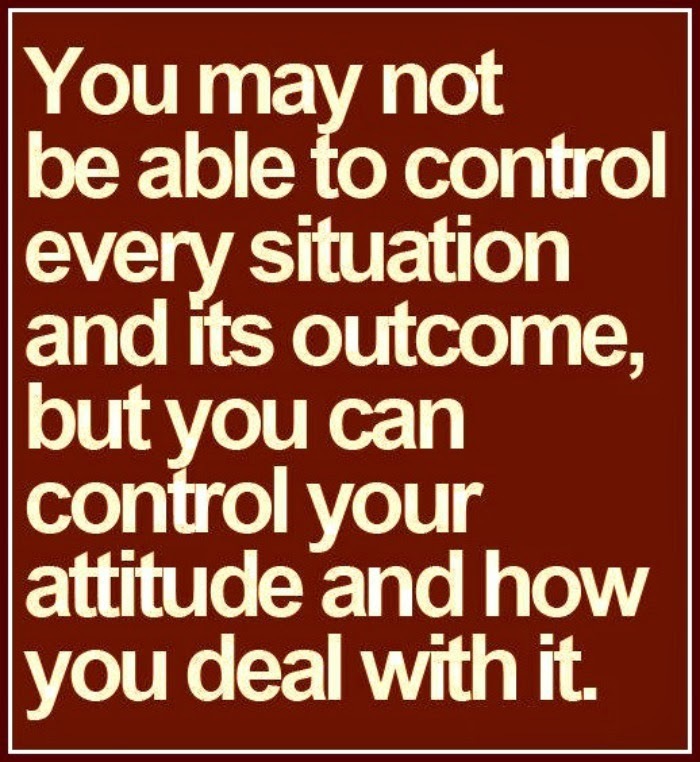 Nobody has it easy and everybody has issues. 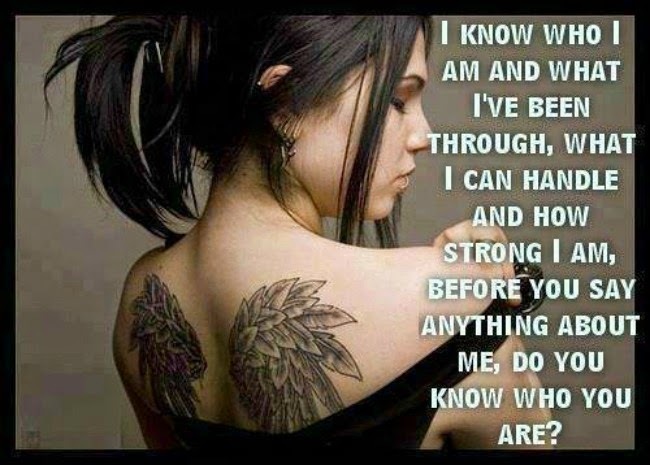 You never know what people are going through. So, pause before you start judging, criticizing or mocking others. 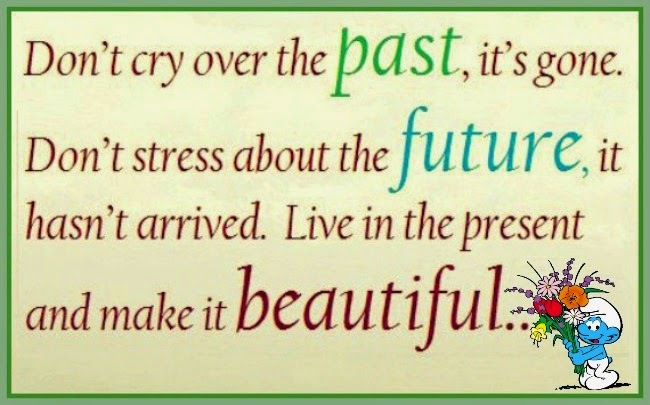 Don't cry over the past. Don't stress about the future, it hasn't arrived. Just focus on what's important. Capture the good times. 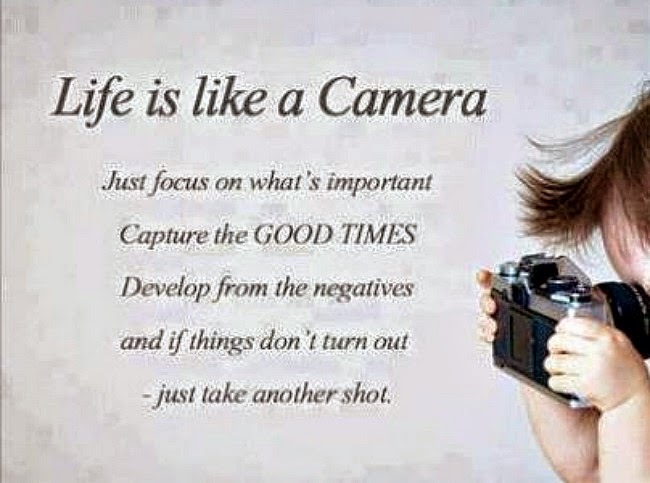 Develop from the negatives and if things don't work out - just take another shot. 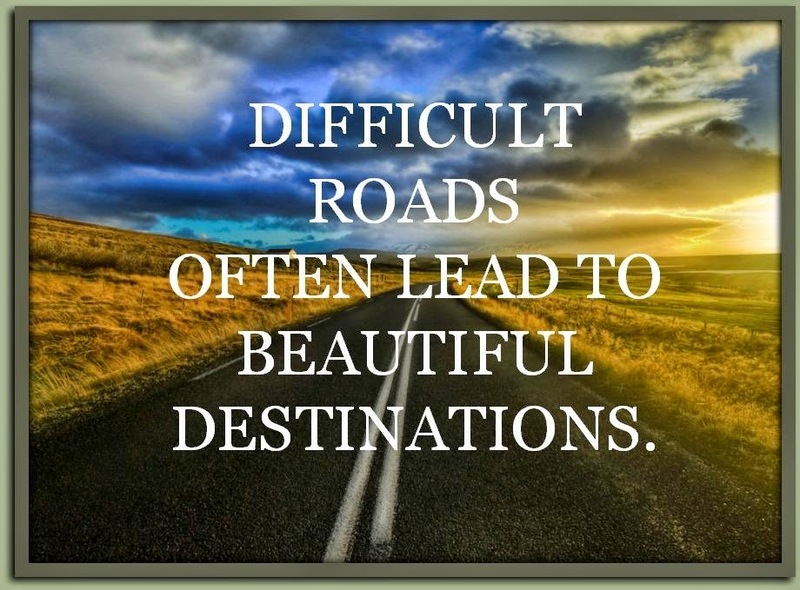 It's true that some of the best moment in life will come after you have been through some of the worst times. 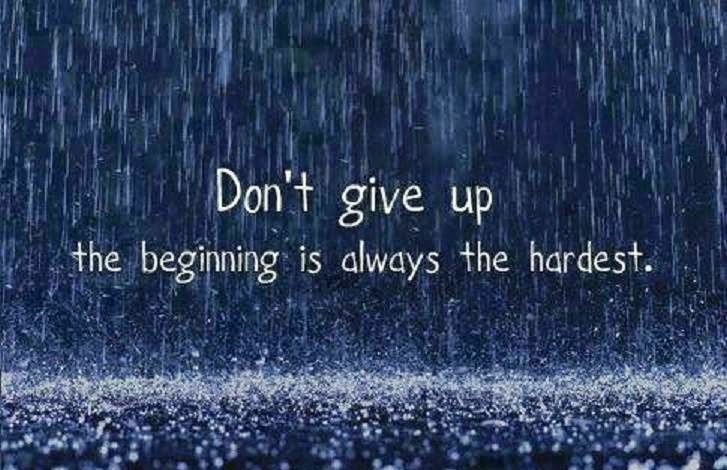 That's why it's so important to stay positive and keep going.